Ruby Duman is duly licensed and admitted to practice law in the Courts of the State of New York since 2015. Ruby Duman is duly licensed and admitted to practice law in the Courts of the State of New York since 2015. 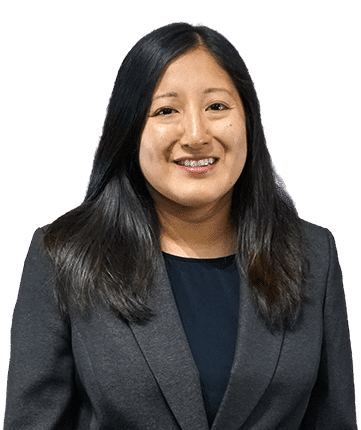 She focuses her practice on representing plaintiffs in Personal Injury cases, Motor Vehicle Accidents, Slip and Fall Accidents, Construction Accidents, Premises Liability, and Medical Malpractice. During law school, she served as an intern at NYC Health and Hospital Corporation, General Counsel’s Office. Ms. Duman is dedicated to providing compassionate and zealous representation to recover just compensation for losses and damages her clients have endured. She joined Frekhtman & Associates to further her efforts to use her legal knowledge and skills to stand up for the rights of those who have suffered losses due to their injuries. She received her Bachelor of Arts in Political Science from Hunter College, and her J.D. from City University of New York School of Law. Ruby is admitted to practice in New York State Court, and the United States District Courts for the Southern and Eastern Districts of New York. She is a member of the New York Women’s Bar Association. Languages: Spanish.